There’s nothing more frustrating than driving down the road on a nice Sunday afternoon only to have a stone fly up off the truck in front of you and crack your windshield. That will usually signal the end of your perfect day. If this happens to you the first thing you’ll probably think about is whether or not insurance will cover it. The answer really depends on your policy. Most comprehensive insurance plans do provide coverage for cracked or broken glass. It’s still always best to make sure you understand your policy before you ever get yourself in the situation. Beyond worrying about whether or not you’re covered for glass repairs and replacements there are other things to consider when it comes to damage class as well. 2 Will A Windshield Repair Affect My Rates? 3 Should I bother If It’s Just A Small Crack? 4 Am I Covered If First Responders Break My Window? Most insurance policies have some sort of deductible. This will come off the base price of any repairs and that includes damage or replacement of glass on your vehicle. Even if you have a comprehensive insurance policy that includes glass repairs and replacements you may still have to foot the bill depending on the size of your deductible. For example, replacing a windshield may cost $600, but if your deductible is $1000 there is no point putting it through the insurance. It can potentially affect your rates. Most insurance policies will cover the cost of repairing stone chips at no charge to you. Although again, it’s important to know your own policy. Will A Windshield Repair Affect My Rates? Perhaps the biggest concern for most people is not whether or not damage or replacement of glass on your vehicle is covered, but rather how it will affect your insurance rates. While each insurance company is different for the most part one single glass clean within a 1 to 2 year period shouldn’t affect your rate of all. On the other hand, if you make several claims for damaged windows or window replacements in a short timeframe chances are your rates will be affected when it comes time to renew your policy. Should I bother If It’s Just A Small Crack? In many cases, drivers continue to drive for quite some time with a small crack to windshield believing there’s no real risk. The problem with a small crack is that it can become a large crack when any sort of pressure is applied to the weakened spot. A damaged windshield depending on where the damage is can impair the driver’s vision and if the glass breaks while driving because of impact on the glasses structural integrity it could result in serious injury. Even a small crack should be repaired as soon as possible to avoid any potential issues. Am I Covered If First Responders Break My Window? 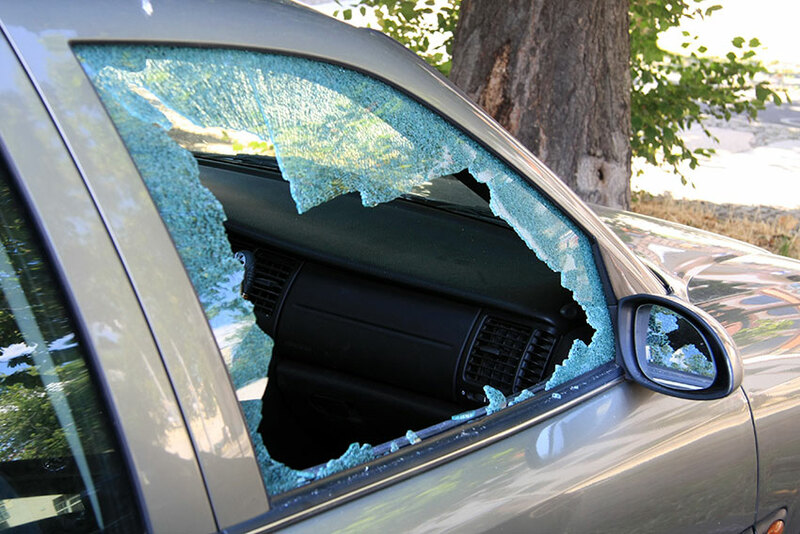 In most cases, drivers are covered if a first responder needs to break a window in your car in an emergency situation, but that will depend upon your policy. As always it’s best to understand how your policy works ahead of time so that you not faced with any surprises when the need for coverage arises.